 The Australian Mariners Welfare Society (AMWS) Annual General Meeting in May 2018 noted that since 2006, a total of $1,250,000 in cash grants and scholarships had been provided to various seafarer welfare organisations and maritime training colleges across Australia. Get involved. Consider becoming an AMWS member. The Membership Application Form is available on the Membership page on this website. 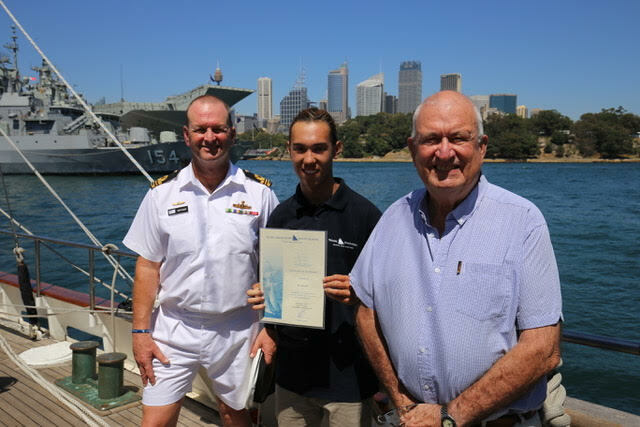 With Rear Admiral Jonathan Mead, Commander Australian Fleet on board supporting proceedings, the AMWS and Sydney Cove Rotary sponsored Stepping Stone House trainee, Patrick was presented with his Voyage Certificate today by the vessels Captain LCDR Mike Gough. 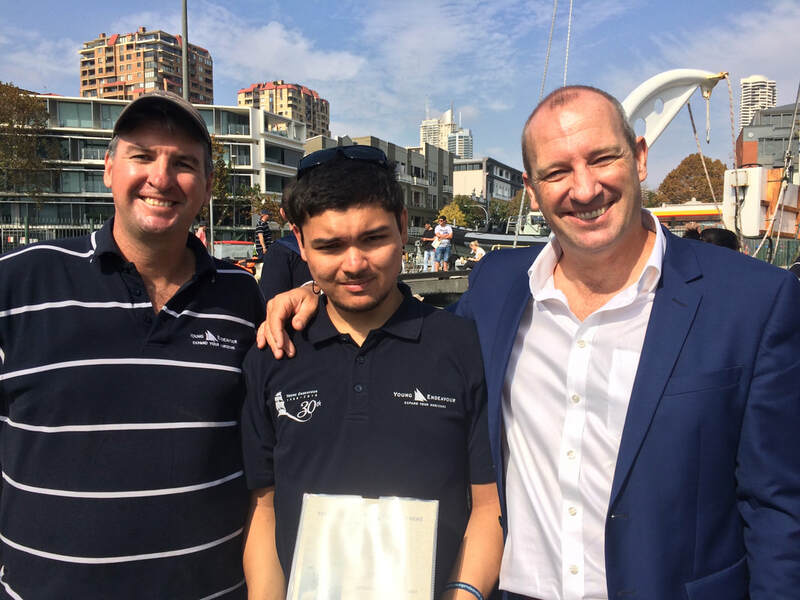 Supporting Patrick in the photo at left are one of his on board navy mentors and Jason Juretic from SSH. Congratulations Patrick, great effort and well done. 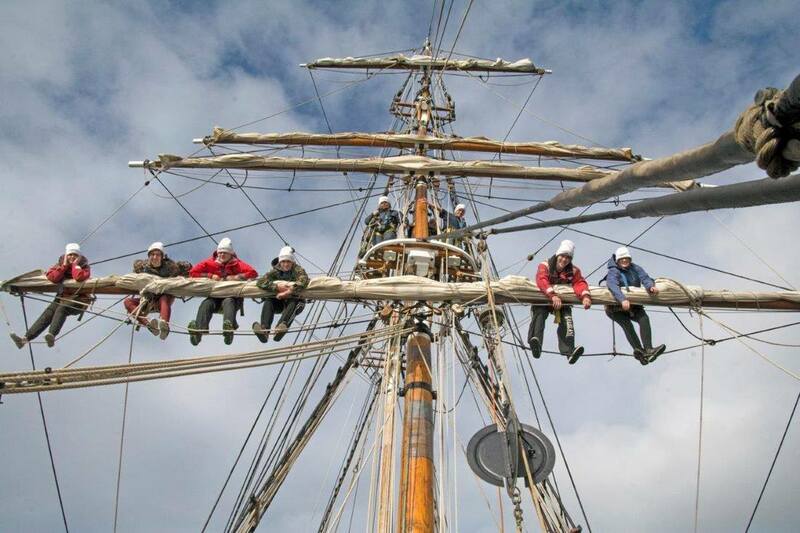 The Chairman, Alan Tait, recently attended a function on board the RAN sail training vessel "Young Endeavour" at Cockle Bay Sydney. The function was held on the ship in support of the 2018 wooden ship expo. On board, Alan was pleased to meet a fellow guest, Captain Sarah Parry. 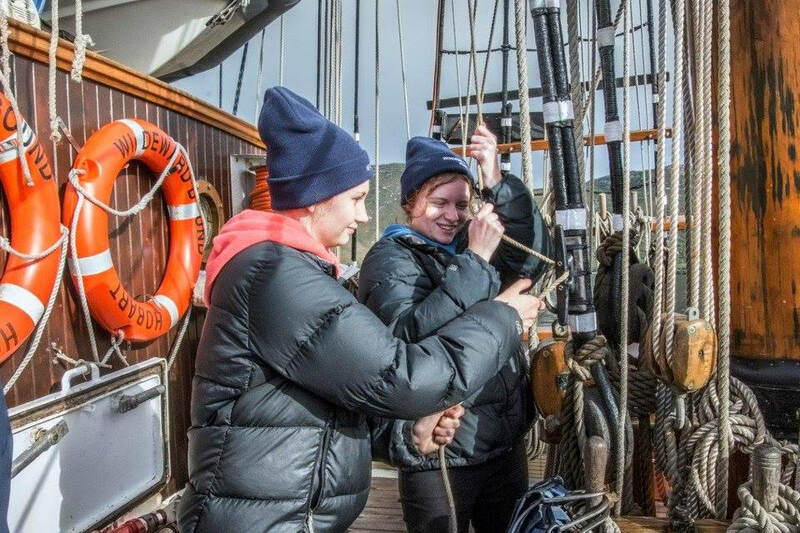 Sarah is Master of the Tasmanian based sail training vessel "Windeward Bound". 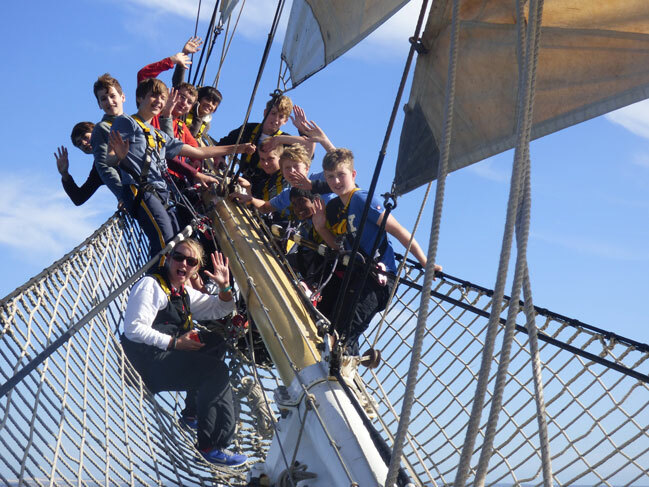 Captain Parry in most recent times received the prestigious International Sail Trainer of the Year Award for 2017. 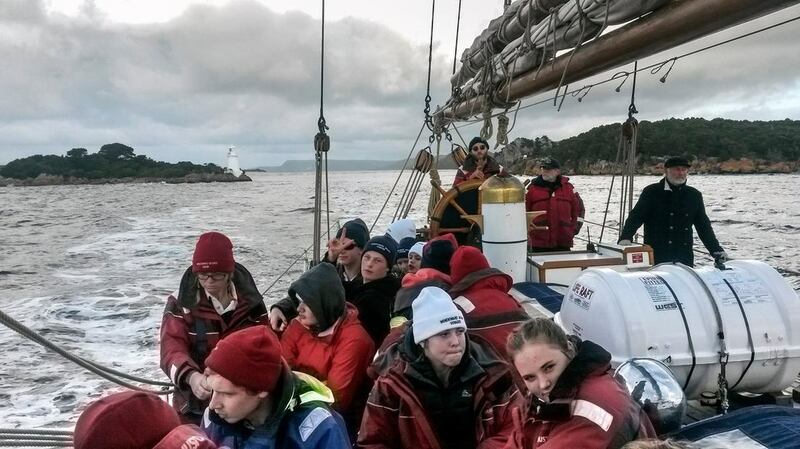 AMWS has awarded 4 sail training scholarships through the Tasmanian scheme to date! 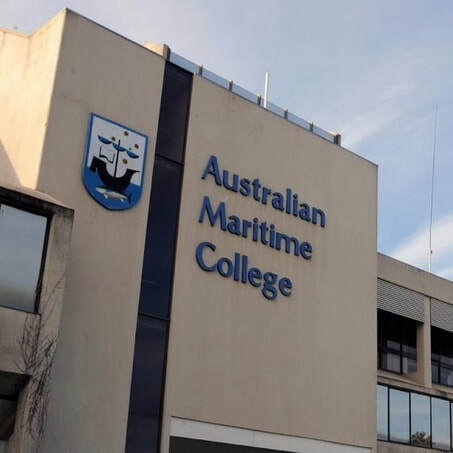 The Australian Mariners Welfare Society is please to announce the granting of 2 new scholarships for students studying at AMC. 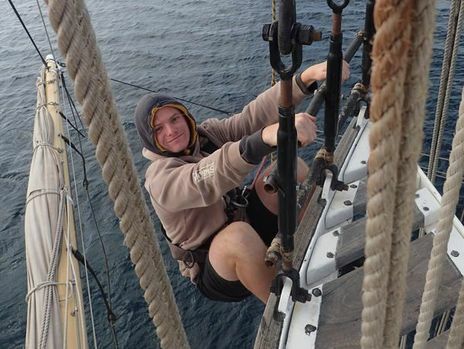 John intends to use this financial support to help him complete his Batchelor of Applied Science (Nautical Studies). Mathew intends to use his grant to help him complete his Master of Marine Engineering. AMWS wishes both successful applicants every success with their ongoing studies. Charlie, supported by the Australian Mariners Welfare Society, began his voyage on the STS Windeward Bound in Hobart yesterday. After completing ESS and marine radio training at school last year, Charlie's parents said he was very exited to begin his voyage. 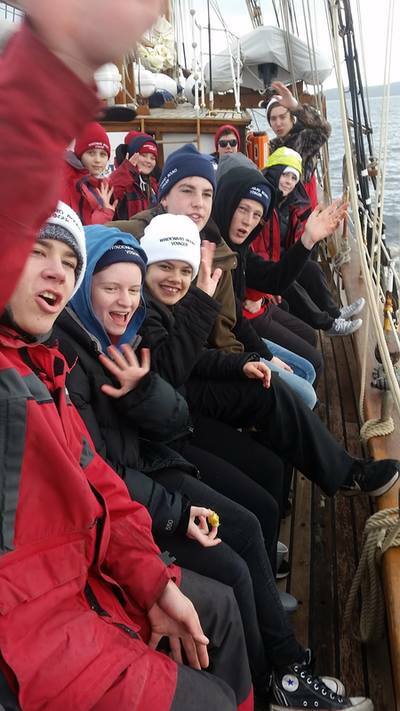 Photo 1: AMWS is delighted to introduce Jack. 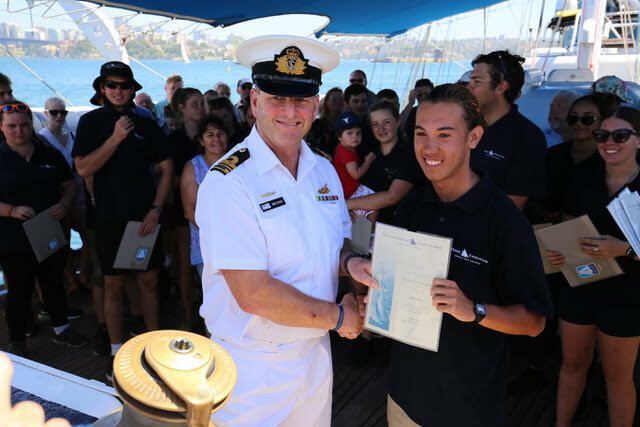 Jack has just been awarded his Achievement Certificate by Captain Mike after completion of a 10 day voyage on the RAN Sail Training Ship "Young Endeavour". 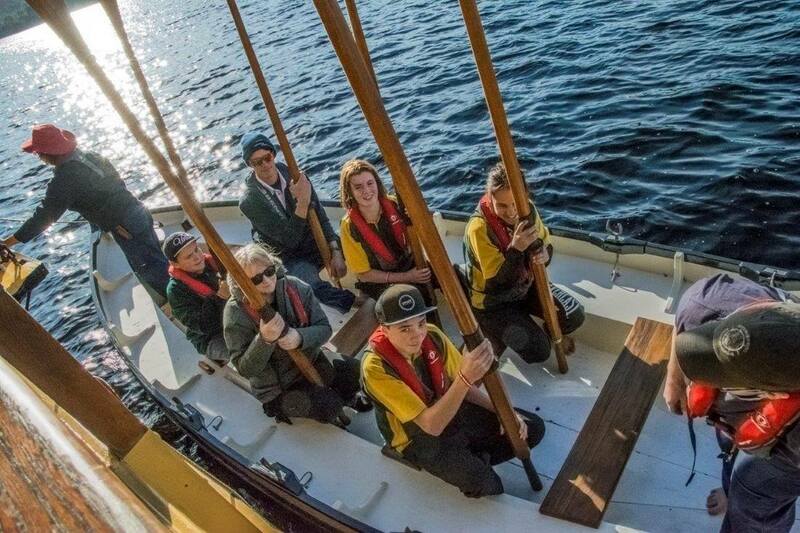 Photo 2: The AMWS Chairman, Captain Alan Tait, attended the presentation on board Young Endeavour as a representative of both AMWS and Sydney Cove Rotary. Both of these organisations provided Jack's sponsorship for the voyage through the Trevor Haworth Memorial Scholarship programme. Captain Haworth, former Owner of Captain Cook Cruises, was a member and very strong supporter of both organisations before passing away in 2014. 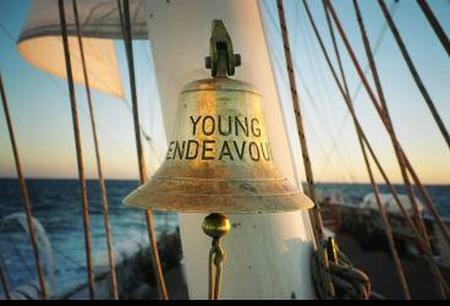 Jack can be proud of his achievements on board "Young Endeavour". 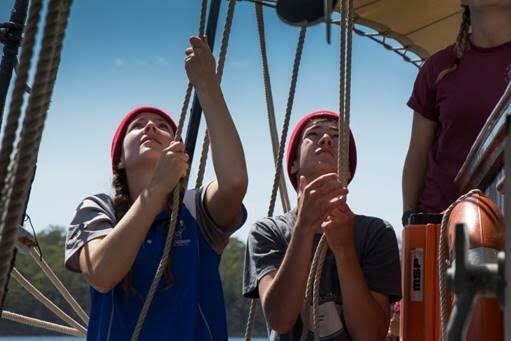 The Australian Mariners Welfare Society has confirmed with the Leeuwin Ocean Adventure Foundation that it will join other sponsors supporting scholarships on board the STS Leeuwin. Shawn, AMWS's first recipient, will shortly be benefiting from this direct support. 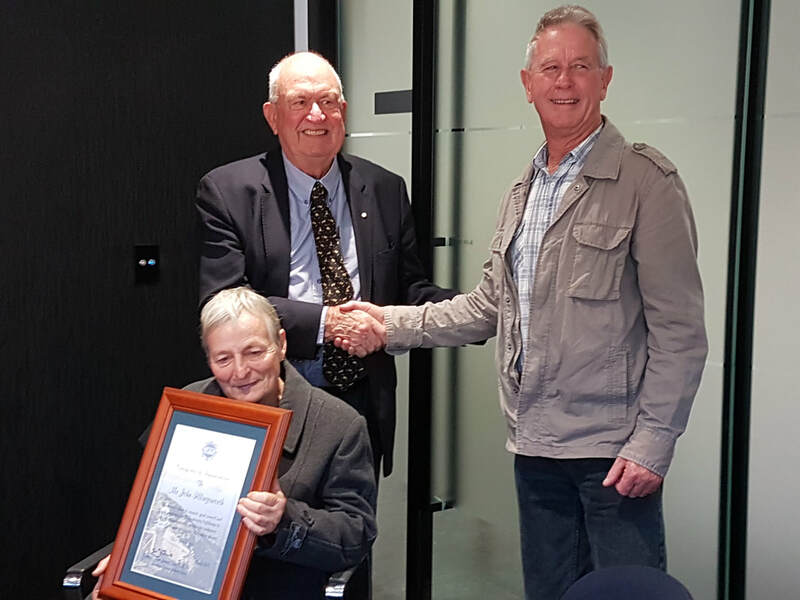 ​​The Australian Mariners Welfare Society is a member of the Australian Seafarers Welfare Council set up to meet the Maritime Labour Convention 2016 to which Australia is a signatory. 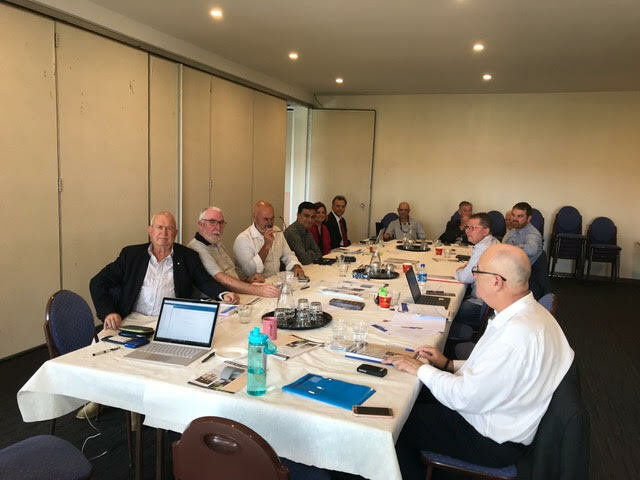 On the 23rd October 2017 Captain Alan Tait (Chairman AMWS) attended it’s quarterly meeting in Fremantle at which time the Chairman of that Ports Welfare Committee Reza Vind gave a presentation on its work. It is very pleasing to know they have a very active Committee . 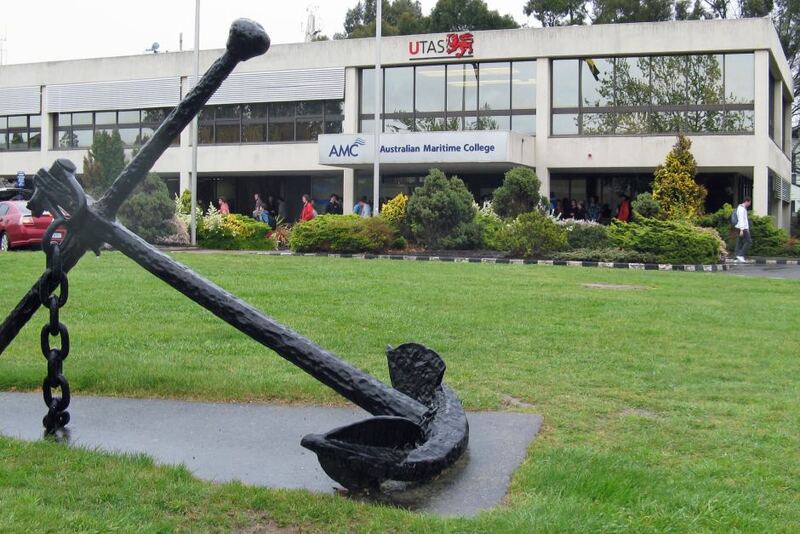 Working with the University of Tasmania Scholarship Advancement Coordinator, AMWS regularly provides a number of scholarships to students studying various marine related courses at the Australian Maritime College. Three new second semester 2017 scholarships have just been offered and accepted by students at AMC. The AMWS Council wished these students every success with their ongoing studies. AMWS Certificate of Appreciation presented. 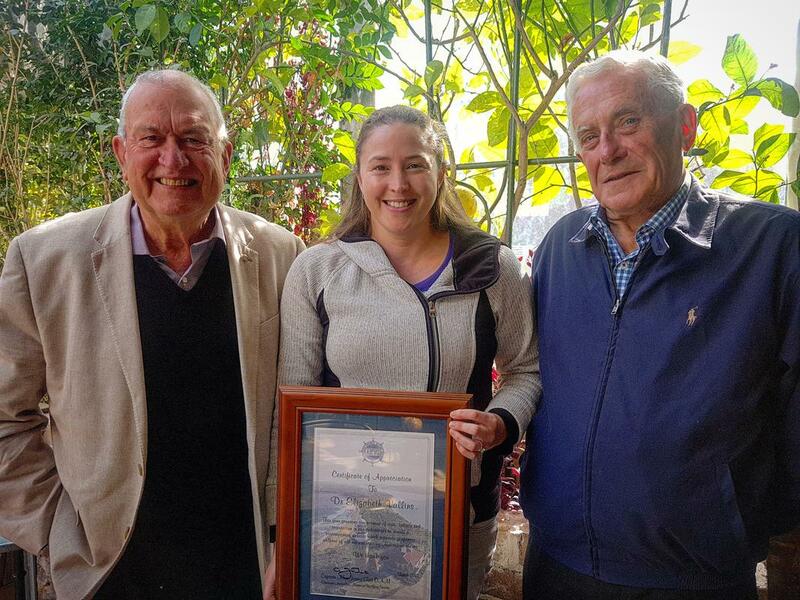 AMWS Chairman Captain Alan Tait and Deputy Chairman Mr Graham Lightfoot present an AMWS Certificate of Appreciation to Dr Liz Vallins. Liz provided the initial expertise and assistance in developing the new AMWS webpage. AMWS Chairman Captain Alan Tait speaking at the Mission to Seafarers Australia bi-annual conference. 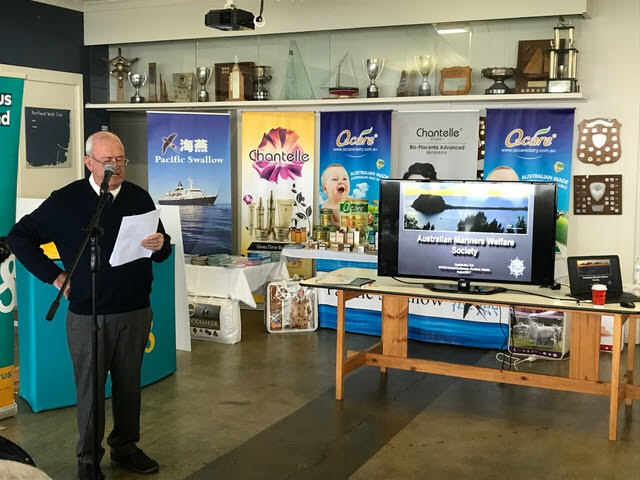 Alan gave a presentation on the current activities of the Australian Mariners Welfare Society. 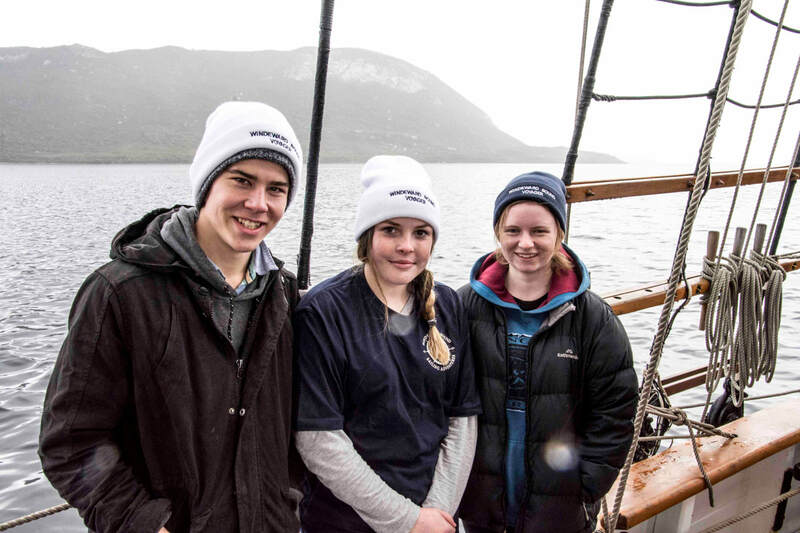 AMWS sponsored trainees Johnny, Georgia and Emily on board the Sail Training Vessel Windeward Bound. 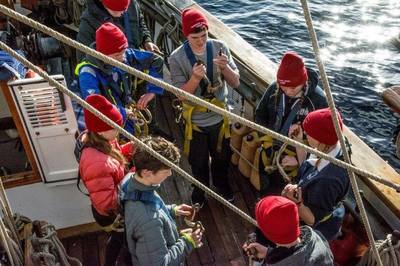 Trainees learning the ropes on board Windeward Bound.